This weeks feature book is one of my favorite books that I read with my kids. 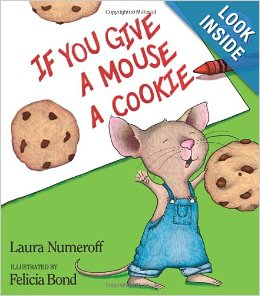 If You Give A Mouse A Cookie by Laura Numeroff. 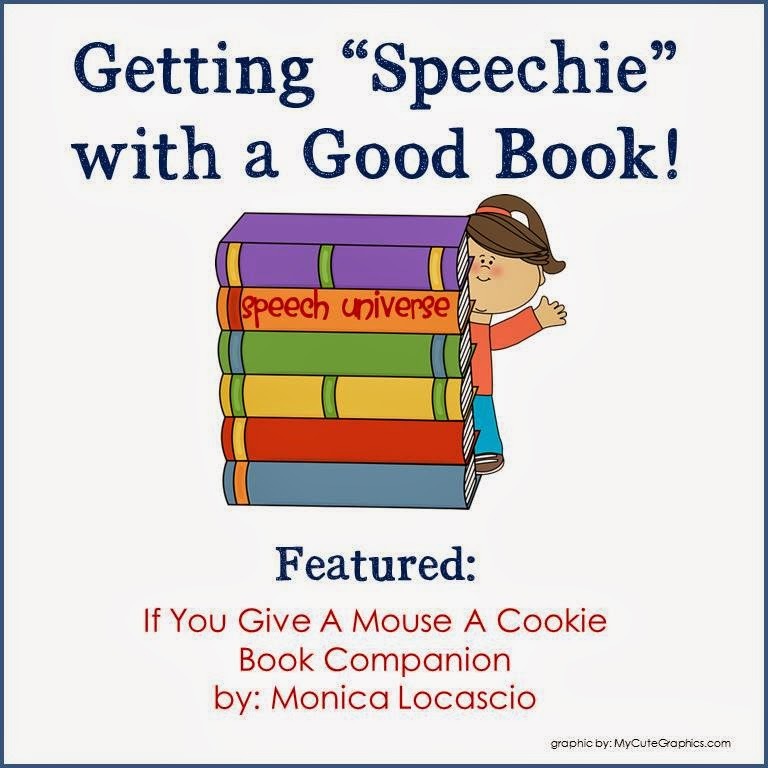 Monica Locascio has a great Speech and Language Companion Pack to go along with this super cute book. This is a really cute interactive book that uses Velcro pieces to attach pictures in place. The book uses a variety of prepositions. This is a simple matching game that pairs singular and plural forms of the nouns found in the book. This is a cute BINGO game that describes each item's function. There are "cookies" included in this packet to use as BINGO markers. Monica also suggests using cookie cereal for the board game and BINGO as a fun treat. This is a really simple emergent reader book that identifies each item in the story. I didn't get a chance to use this activity in the packet this week. I just don't have any students working on the sounds included in the packet right now. The activity is really cute though. You can cut out a "cookie jar" and place it around a can to create a cookie jar container. Then, students place their cookies in the jar after they say the articulation word printed on each cookie. Sounds included in this packet are /b/, /p/, /g/, and /k/. This is a great packet that can be used with preschool and early elementary students. You can find the book companion HERE. You can find Monica at: www.molosspeechblog.blogspot.com or on Facebook. Stop over and say "hi!" Looks like a wonderful packet. Thank you for sharing!